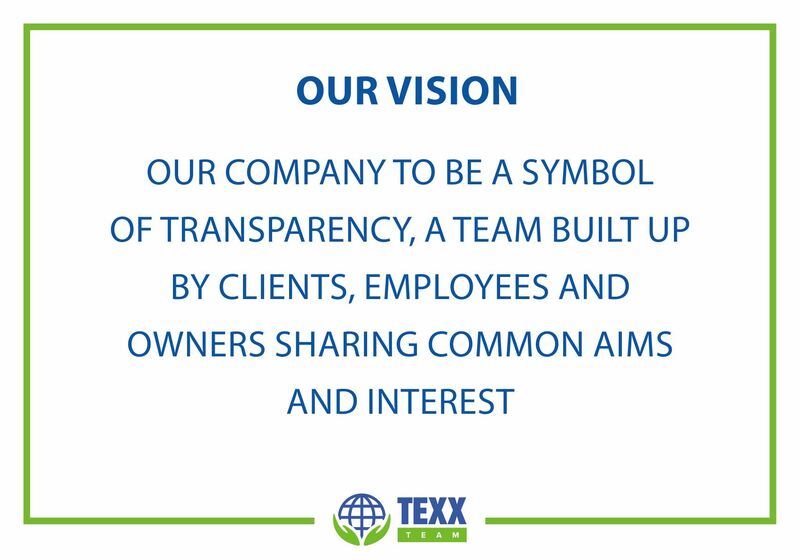 Texx Team was created around the idea of transparency. Buying used clothing wholesale means you are relying on the judgement of the team responsible for sorting it to guarantee that you are getting goods of the correct type and condition every time. 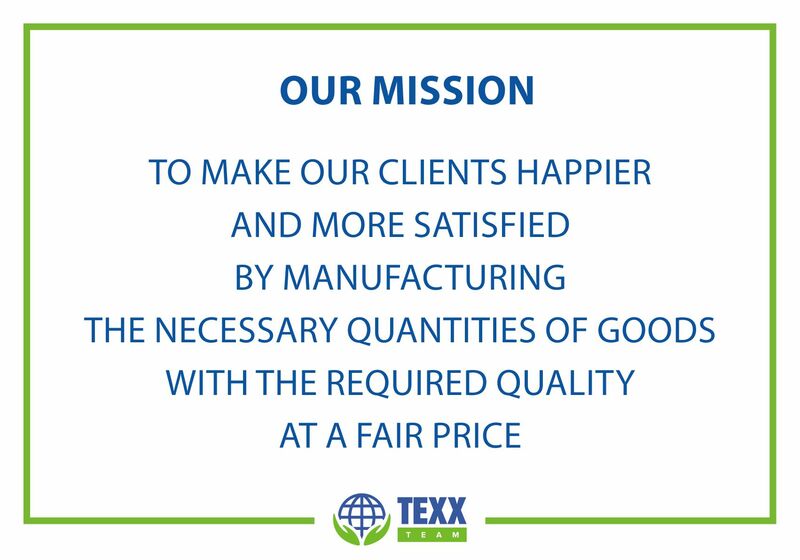 That's why everyone on the Texx Team - from the owners to the newest members - have to be big believers not only in the social responsibility of the work we do but also in our shared interests of openness, fair treatment and delivering consistent quality. The right goods. Of the right quality. At the right price. In addition, the sheer amount of textile waste produced every year has led to bulk second hand clothing collection having an important role to play in global recycling. 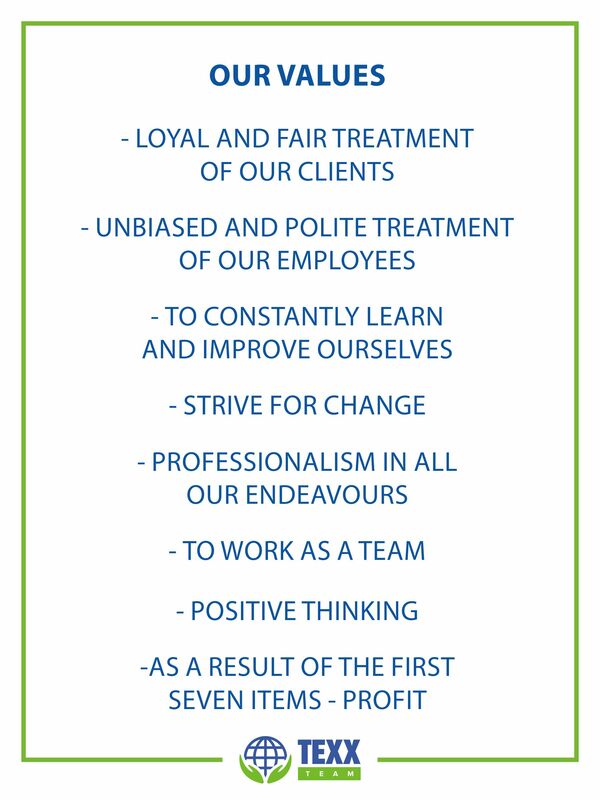 Texx Team is dedicated to striving for change as we continue to expand worldwide. Over two billion tons of waste are produced every year. That's a staggering quantity. Something that's almost impossible to picture - but also something that's already causing serious problems in many parts of the world. Around 5% of that waste is textiles and clothing. As well as being bad from an environmental point of view, textile waste is something that is illogical from a commercial standpoint. Because even worn, stained, ripped and torn fabric can be reused, repaired or recycled as something else. Whether it's to be sold as used clothing wholesale or processed into fibres for other purposes, there's almost never any need to throw textiles away. Not only is reducing the amount of waste produced each year something which our children will thank us for, it also takes a lot less energy and resources to make new products from recycled fabric than it does from the raw materials. This has a positive knock-on effect all over the world. The land, water and fertiliser which would ordinarily be used to grow cotton can be used for other purposes and companies can create new products at more cost-effective rates. What's more, clothing recycling creates jobs. That's common sense no matter where you come from. Whenever and wherever you need to search for where to buy bulk second hand clothing, talk to Texx Team.